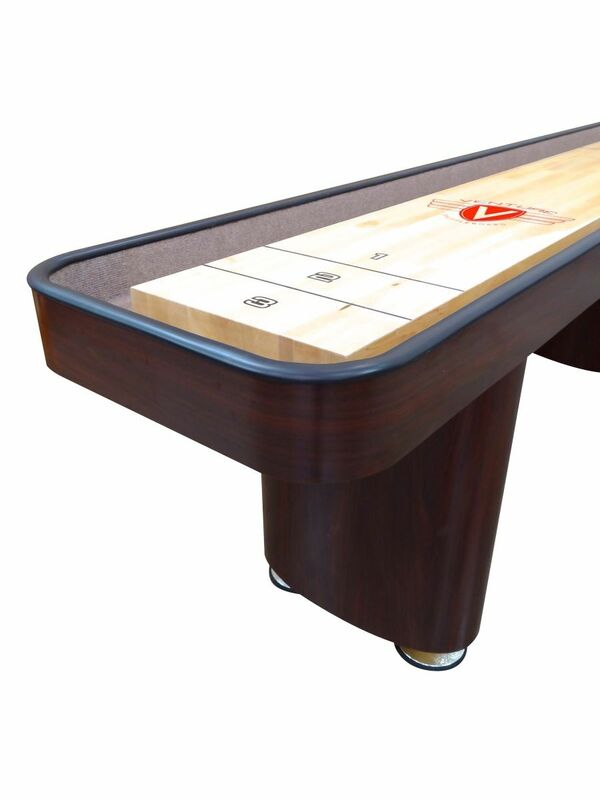 The 14' Challenger Shuffleboard Table is the perfect table for those seeking pro level style without too much length. Designed as a scaled down version of Venture's sought after pro level tables, the Challenger takes a sturdy, uni-body frame and combines it with a length that's made to challenge you without taking up too much space. Handmade in the USA and built to order, the Challenger speaks to Venture's reputation for consistently setting the industry standard. As the pioneer of Venture's sport line, the Challenger's cabinet and American hard-rock Maple playfield are factory assembled for maximum stability and quick assembly. 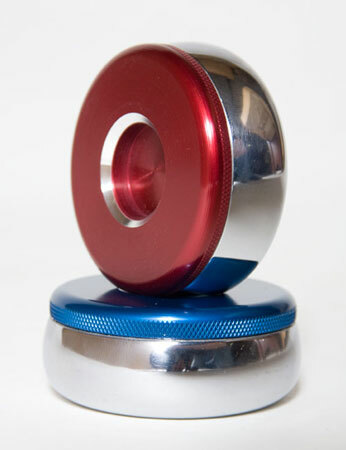 All you need is to apply a few bolts to the legs, and you're ready to go. 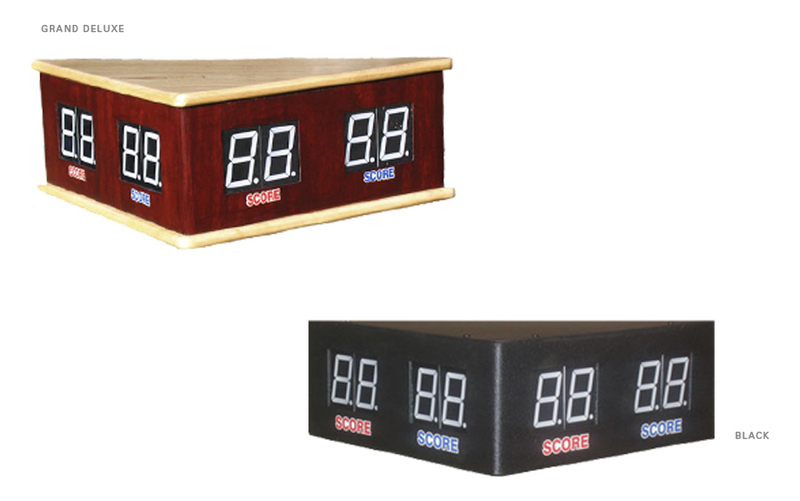 Constructed of solid plywood base and finished using a high pressure laminate, the Challenger is extremely durable. 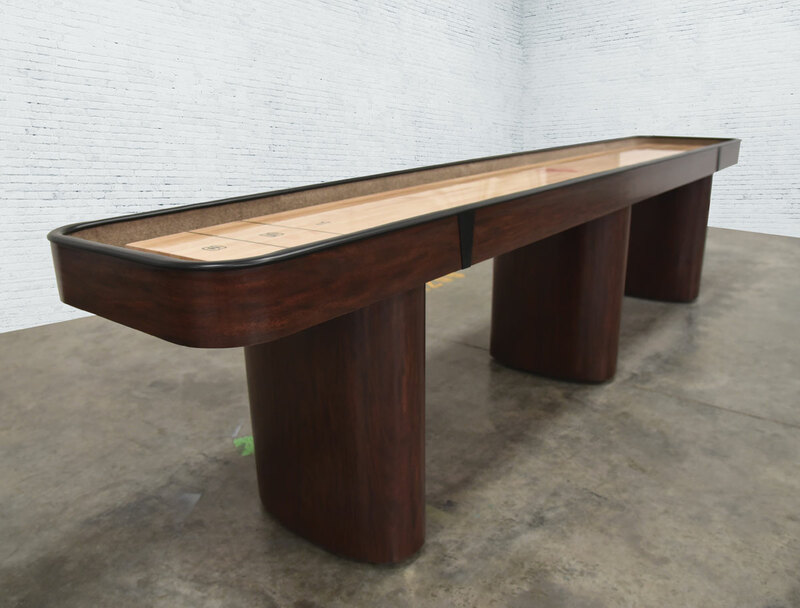 This table features 1-3/4"D X 16"W playing surface, coated with Venture Shuffleboard's exclusive hard clear synthetic lacquer. The Challenger is offered in 2 finishes: Fusion Maple and Empire Mahogany, both pictured above. 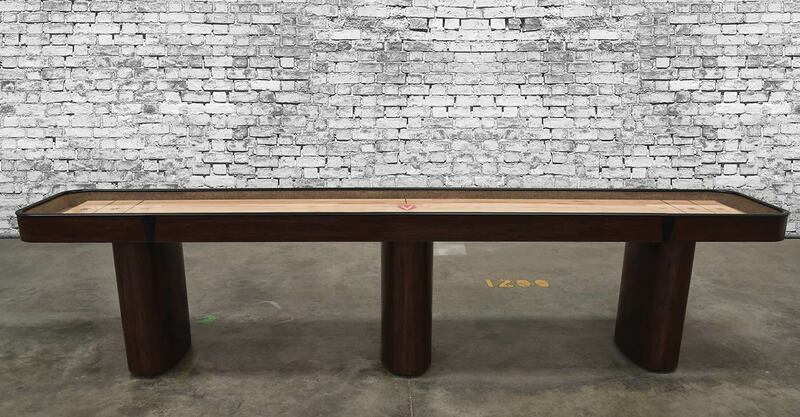 Choose from either Dark Walnut, Stelter Mahogany, Chestnut, or a custom stain to create a table that shows guests who you are and matches your entertainment space. 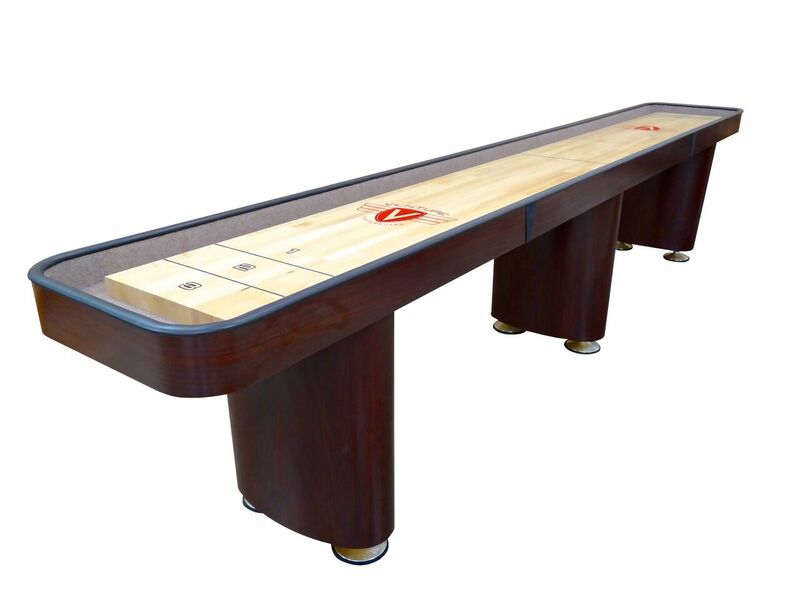 Get high quality American craftsmanship and the length you need; order the Challenger today! 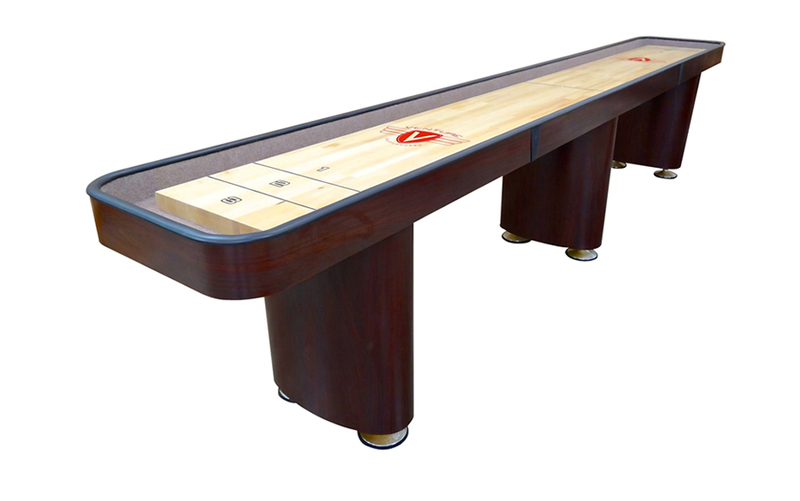 What is the size of the table top cover? 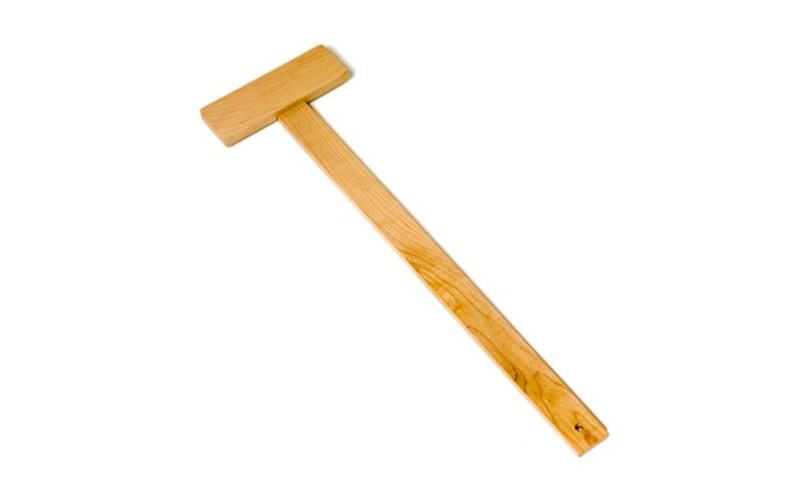 Does it increase the width and length? 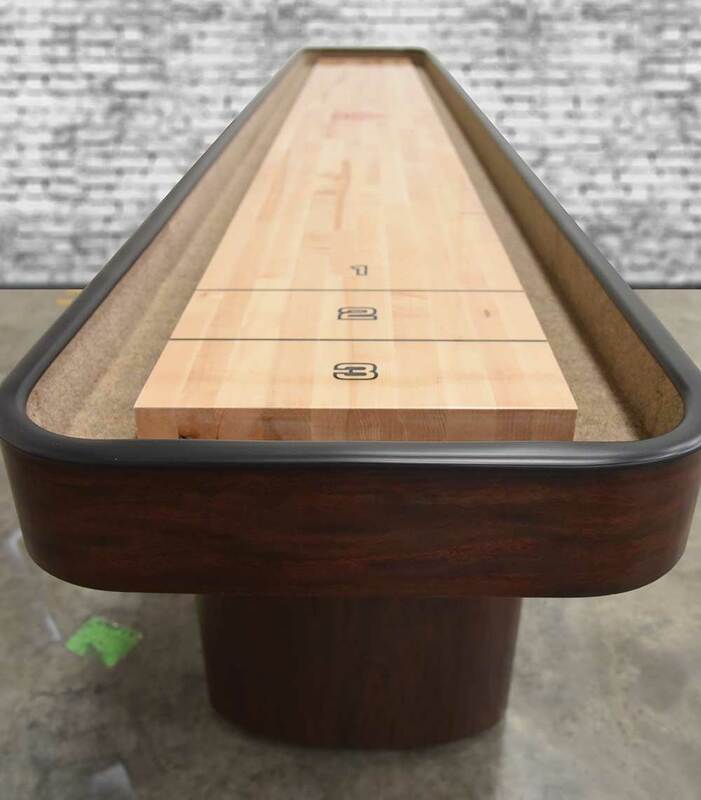 The conversion dining top table top cover (+$850) will cover the exact width and length of the top of the shuffleboard table cradle which will convert it into a completely functional banquet table. The vinyl table cover option, is a dust cover that drapes over the table to keep it covered when not in use. 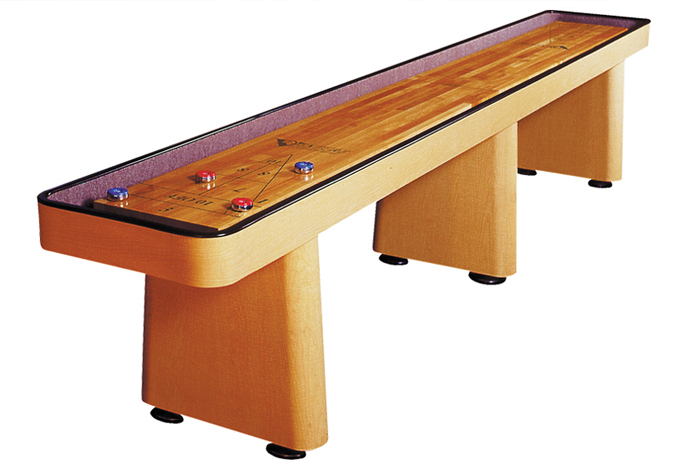 On the 14' Challenger, are the "1-2-3" scoring markings on both ends of the table? 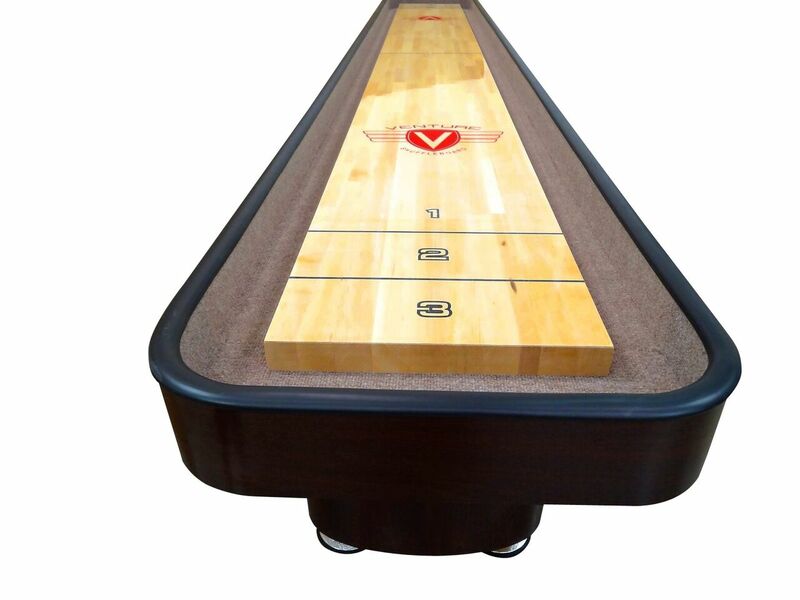 Yes, on our 14' Challenger Shuffleboard table there is the 1-2-3 scoring lines on both ends of the shuffleboard table. 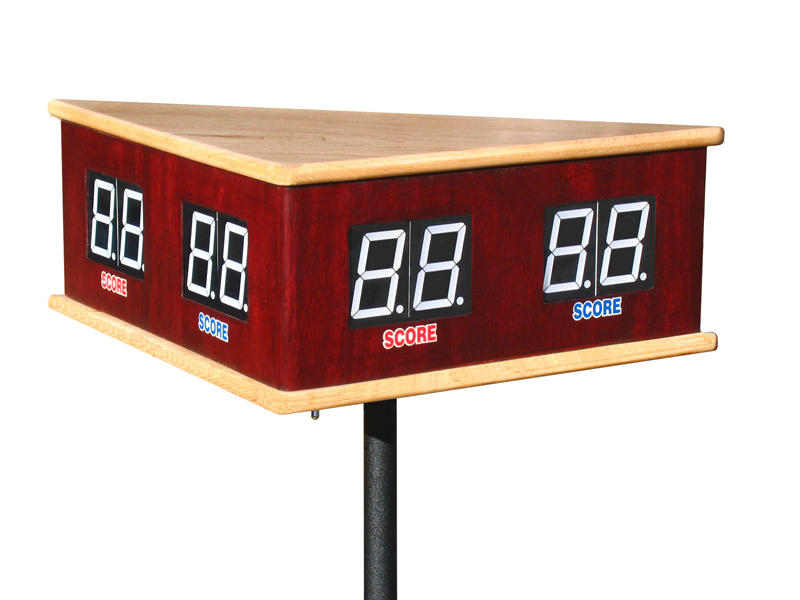 Can you confirm the actual height of the playing surface fully assembled? They run 30"-32" depending on the level of the floor. 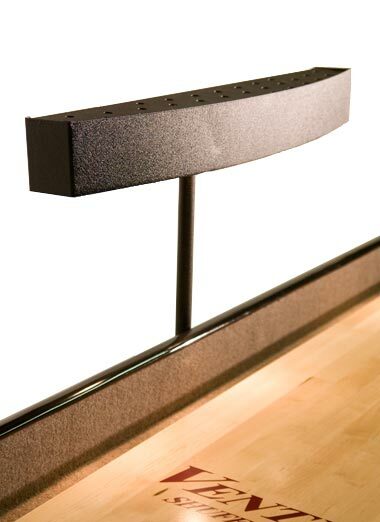 The challenger has 3-1/2" leg levelers that can be used to level the table in unlevel spaces.